We use digital and offset technology. 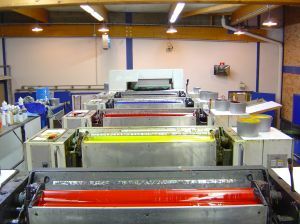 We are able to prepare a circulation beginning from one unit to huge amounts, with keeping it precise. Experienced cadre and modern machines bring the quality to the highest level. Moreover, we are able to combine technologies i.e. pressing, gold plating, laser markings, digital photography. This solution makes You more original and unique.